Masha & The Bear™ is an award-winning CGI HD-quality animated series produced by Animaacord Studios. 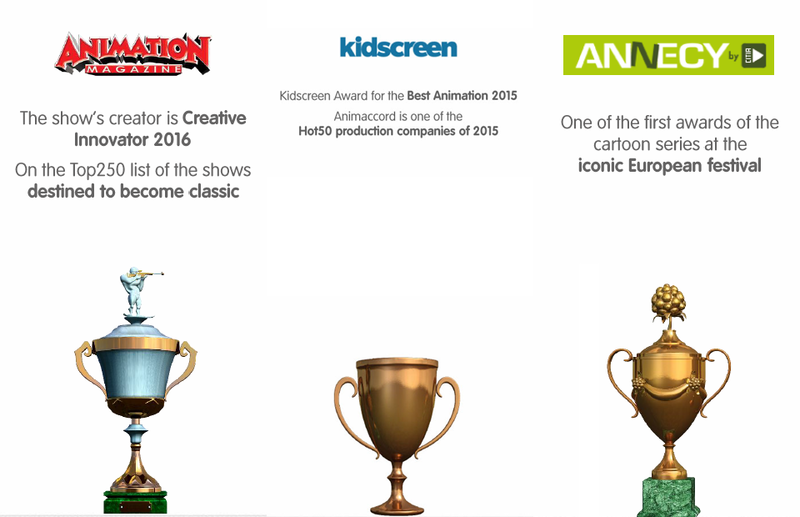 Masha & The Bear was recently awarded Best Animation in the Creative Talent Category at Kidscreen 2015. The show is currently airing in the UK on Cartoonito 6 x per day, 7 days a week. In addition it also has a high ranking youtube channel which had 1.4bn views globally in 2014. In the UK the average views per month are 25,000. Target Audience: Primary – Kids 3-6 years old. Secondary – Kids 10+ years old. Tertiary – Parents and Grandparents. Values: Adults and children jointly solving problems together. Positioning: Encouraging communication and relationships between children and adults / their parents with kindness and humour. Licensee: Current UK partners include Master Toy licensee Simba Dickie and Publishing partner Egmont UK.